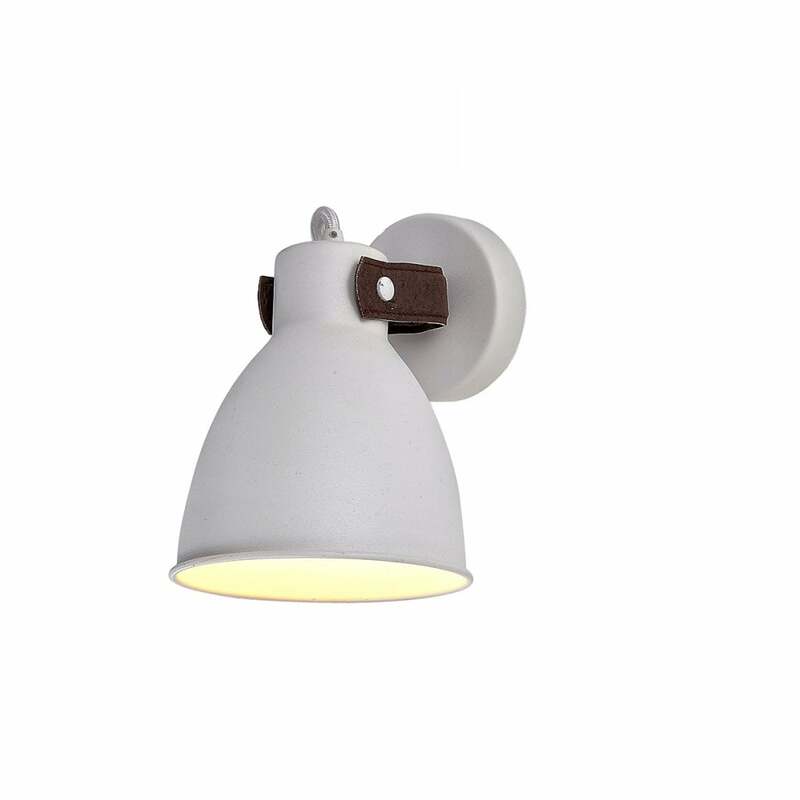 AZzardo 'Tessio Wall' single light wall fitting in white metal finish with brown leather detail. The product code for this fitting is AZ1281. Tessio offers an interesting design suitable for modern or contemporary interiors. Finished in white metal, this simply beautiful fitting features brown leather detail which provides a luxurious and unusual impression at first sight. With the ability to direct the light where required, Tessio is the perfect addition to any suitable room in your home. This product comes from Europe so please allow 10-14 working days for delivery. Also part of the Tessio collection is a single light ceiling pendant (AZ1289) and a 4 light linear ceiling pendant (AZ1282).